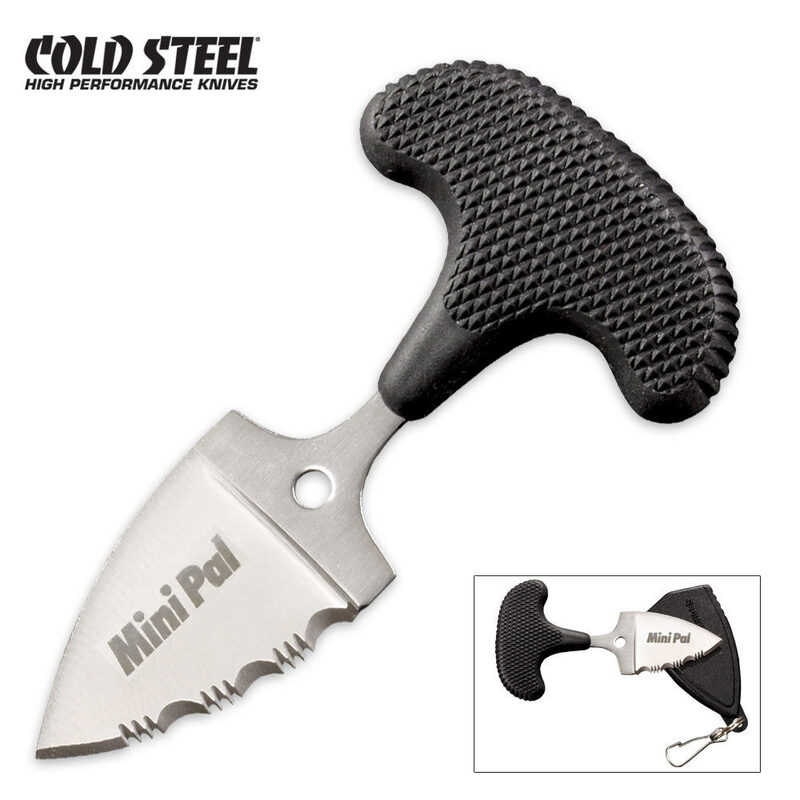 The Mini Pal is only 1/2 an ounce in weight yet it delivers heavy weight performance. The edge zips through a host of materials at unbelievable speed. The 1" long blade is razor sharp, to open delicate packages and envelopes, cut rope or punch through heavy cartons. Plus the unique handle offers a variety of grips that would be impossible with any other design. It comes with a Secure-Ex lanyard sheath. All I have to say is that this is a great knife. It's super small, light weight, and has a great cutting ability. With a price this good, what more could you ask for?